I love my job. As part of my role at Intactic, I have the luxury of presenting at and facilitating big conferences and events all over the world. Last week, I ran a conference with my fellow internal strategic communications and HR folks from some really cool companies including Lyft, Popeye’s, Levi Strauss & Co., Williams-Sonoma, AbbVie and many others. The focus of the conference was Strategic Internal Communications and Employee Engagement and the agenda was packed full of great content. But considering that we were within the first two weeks of our new U.S. president taking office, and the dramatic political dialogue happening outside our conference room walls, I felt a strong professional duty to have a conversation that was not on the original agenda. 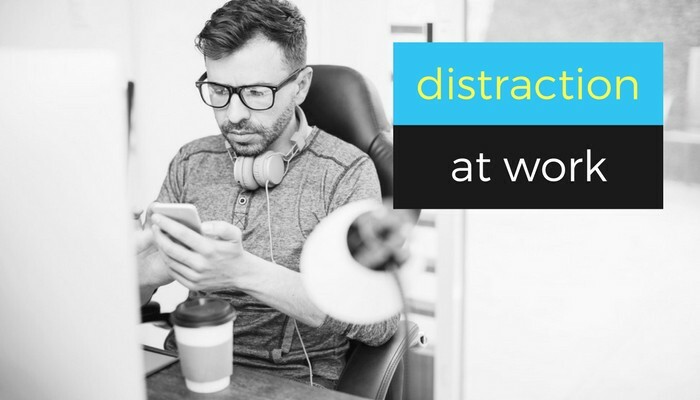 How do we, as professional communicators, provide guidance to our leaders about how the current political climate is creating a distraction for employees and impacting current levels of performance, productivity and employee engagement? Preston Lewis, Founder & CEO of Intactic, sat down with Social Chorus to discuss the history behind the employee experience, how it is shaping employee communications and why the employee experience is important to him. SocialChorus and Lewis are partnering for a webinar, 5 Keys to Creating a Modern Employee Experience, on Thursday, February 16. Last week I was the Chair of the ALI Strategic Internal Communications and Employee Engagement Conference in Chicago and I shared my perspective on the relationship between employee experience and employee engagement. It resonated with the audience, so I thought it would be helpful to elaborate further. Considering that almost all of our current projects at Intactic have an employee engagement objective, I feel it’s important to propose a shared definition to be able to dig-deeper and understand how to move beyond theory and inspire action. To begin, let’s not forget that this is another example of how the words we use to describe things often change, however the meaning remains the same. 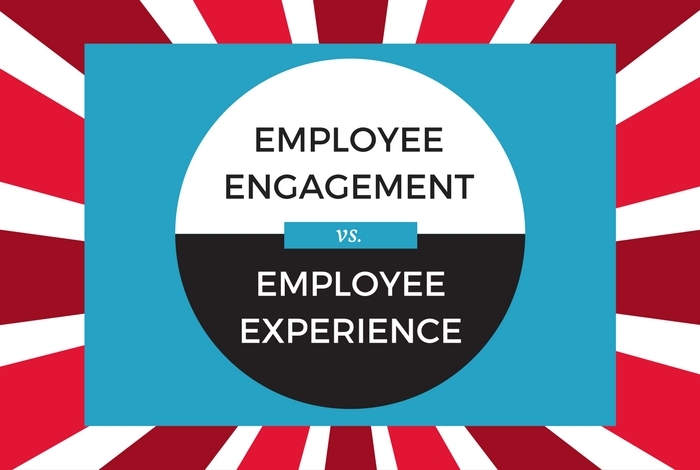 An employee experience includes a collection of touch points (face-to-face interactions, emails, articles, events, classes, digital, etc.). Touch points are influenced by effective communications (content and design, up, down and sideways). When employees have the information they need to do their job, they perform better and tell their friends. When people perform better, they are happier. When people are happy at work, they are more engaged. Definitions of employee engagement also include levels of discretionary effort, emotional commitment, someone who is fully absorbed by and enthusiastic about their work, etc. I understand that there are many ways to slice this, however not many folks with argue with happiness as a key measure of employee engagement. Data also illustrates that employee engagement continues to be a key concern of leaders and communicators. I would propose that the investment currently being allocated towards measuring employee engagement is better spent on creating more effective employee communications that directly influence the employee experience. Thoughts? Please share your comments and perspective. To learn more about how we create modern employee experiences, feel free to contact us. To keep Intactic on the leading edge, we invite a select group of leaders and communicators to participate in quarterly meetings of the Intactic Advisory Council (IAC). These talented pros work within some of the most reputable companies in the world and come together at the IAC to share their perspectives on the latest trends and up-to-the-minute insights. The IAC members include professionals responsible for internal communications, employee engagement, HR communications, enterprise transformation and internal brand activation. Although the IAC represents a wide variety of industries and cultures, we often have much in common when it comes to “hot topics”. The Q1 2016 conversation was quite lively, and we are pleased to share some of the highlights along with some actionable tips that you can consider for your company. How do we attract top talent amidst a company transformation? Creativity is key to employer brand messaging and buy-in, and will help your communications cut through the clutter. Employee generated content is both cost-effective and generally well-received by employees. Encourage employee content generation by creating simple tools and platforms for people to share their stories. Short contests and personal invitations are an effective way to increase participation. What tools and techniques are most effective? If you’re not already using mobile apps to measure employee engagement, you will be. Success measures are moving beyond typical engagement metrics to also include measuring/quantifying employee happiness. Lack of company action after survey results are announced will breed a lack of employee survey participation. How do we leverage our most valuable asset to increase brand awareness? Employees react well to more conversational brand advocacy content that doesn’t seem forced. Observing your employees, then using the observational insights to define the voice of your brand advocacy communications will increase the level of authenticity. Quality over quantity: most authentic messages do not require a large budget. The Intactic Advisory Council (IAC) is a select group of enterprise communications thought leaders and practitioners from companies including eBay, StubHub, BlueCoat, FIS, Starwood, Interface, Walmart, Yahoo!, RedHat and 24 HR Fitness. The purpose of this group is to connect like-minded professionals, share knowledge and insights, and optimize the performance of our companies, our teams and ourselves. Intactic is a modern communications company focused on creating more human-centric experiences for people at work. Our strategic, digital and creative services power enterprise transformation and engagement from the inside out. Tell your friends. Intactic is hiring. Pitch your dream job: Include your ideal role, responsibilities and explain why you are the perfect fit for our team. These are exceptional opportunities to join our fast growing team and partner with some of the most reputable companies in the world. Stay on trend. Sign-up below.